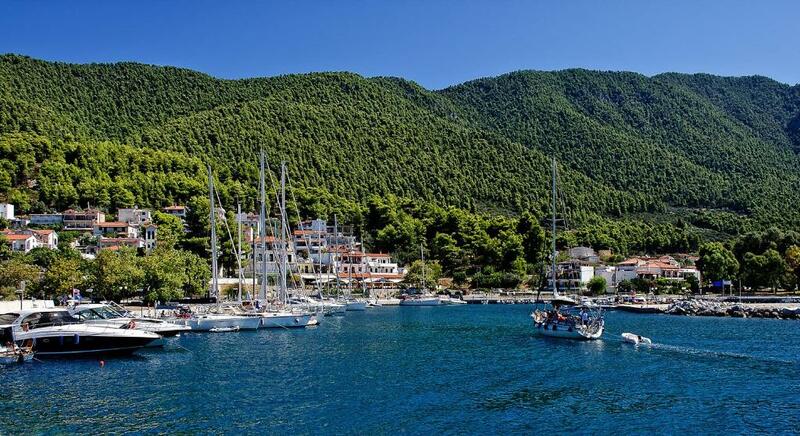 Skopelos is one of the most famous islands of Sporades and one of the reasons is its green colour! Emerald waters, dreamy coasts, Pelion architecture and monasteries will welcome you at an authentic island atmosphere: Skopelos. Skopelos has three main ports: Skopelos, Agnontas and Glossas. Chora is the capital of the island, located on the northern coast in a closed bay and its beautiful city spreads amphitheatrically around the castle. The tour of the island starts from the amphitheatrically built Chora with the picturesque paved alleys, the scattered churches and the beautiful island houses with the blooming courtyards that surround the Castle. You can follow the route starting from Panagitsa of Pyrgos at the edge of the harbor and enjoy the view all the way, but also from the top of the Castle to the settlement, the port and the chapel of Panagia Pyrgos. 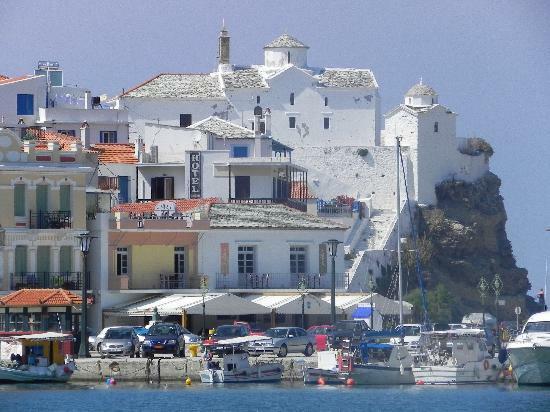 Glossa, the second largest settlement on the island after Chora, is 25 km north of the island. Narrow alleys, tidy houses of traditional architecture and colorful corners make up her figure, while the surrounding area is of great archaeological interest due to the ancient towers and buildings that have been identified. Palio Klima is a picturesque traditional village near Glossa that suffered serious damage during the 1965 earthquake. New Climate / Elis, 18 km from the country of Skopelos under the forest of Vathia and at an altitude of 688 meters, is a new settlement since it was built only in 1981. The wonderful beach of Hovolos is very close. Of the best beaches is Milia, 25 km northwest of Chora, with fine white pebbles and the characteristic rocks that emerge from the sea, while the pine forest surrounding it perfectly complements the scenery. Of the most popular are the pebbled beach of Panormos, 15 km west of Chora. Finally, do not bid farewell to Skopelos without tasting its traditional cheese pie, with a reputation throughout Greece!